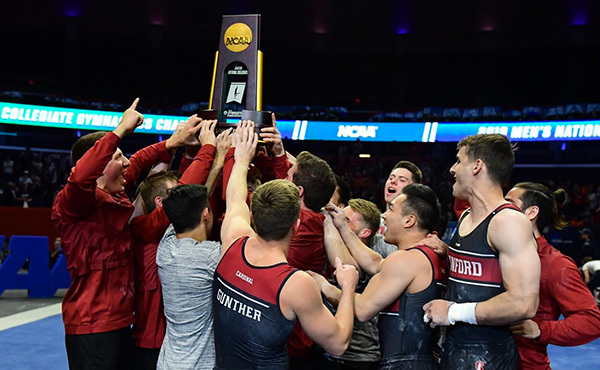 LAS VEGAS, March 21, 2019 – On Friday, the 2019 World Cup, the first International Gymnastics Federation World Cup for acrobatic gymnastics held in the United States since 2009, gets underway at 6:45 p.m. PT. 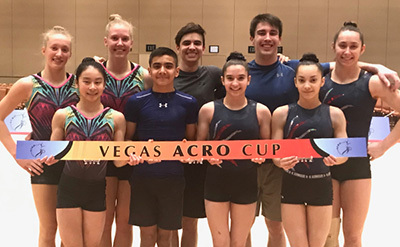 Slated for March 22-24 at the Rio Hotel, Casino and Convention Center, the World Cup is part of the Las Vegas (Nev.) Acro Cup, an international invitational for 11 competition levels. 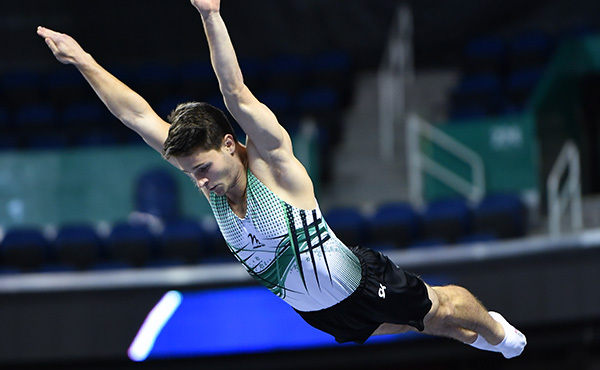 Between the two events, more than 1,000 gymnasts from 18 countries will be performing over the three days of competition. The U.S. 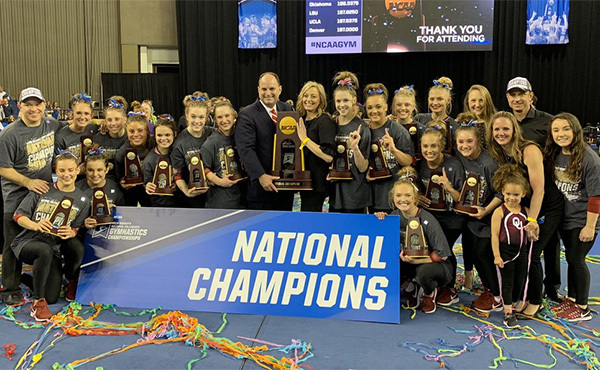 Team for the World Cup features: 2019 Maia World Cup women’s pair bronze-medalists Emily Davis and Aubrey Rosilier, both of San Antonio, Texas/Acrobatic Gymnastics of San Antonio; 2018 U.S. mixed pair silver-medalists Aisley Boynton of Riverside, Calif., and Sean Obley of Mesa, Ariz., who train at Aspire Kids Sports Center; 2018 U.S. men’s pair champions Angel Felix and Braiden McDougall, both of Riverside, Calif./Realis Gymnastics Academy; and the U.S. women’s group of Elanor Chang of Columbia, Md., Grace Vonder Harr of Imperial, Mo., and Kayla Vonder Haar of Imperial, who train at Emilia’s Acro Gymnastics and Cheer. 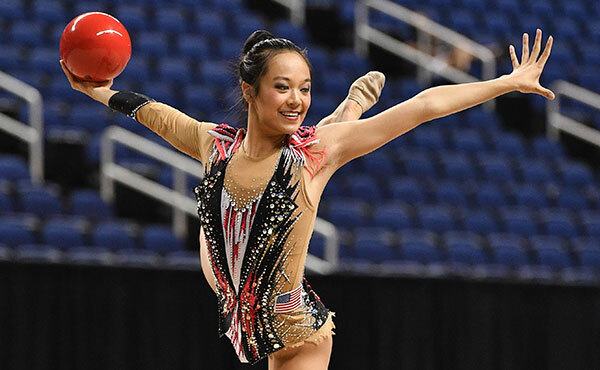 The 2018 World silver-medalist men’s group from China of Zhi Fu, Pei Guo, Heng Jiang and Junshuo Zhang and Belarus’ 2019 World silver-medalist women’s group of Julia Ivonchyk, Veranika Nabokina and Karina Sandovich headline the international field that includes a men’s pair from Germany of Michail Kraft and Tim Sebastian, who were fifth at the 2018 World Championships; Great Britain’s mixed pair of Finlay Cockrane and Kirsten Owen; and Australia’s women’s pair of Katelyn Dullard and Tori Singleton. 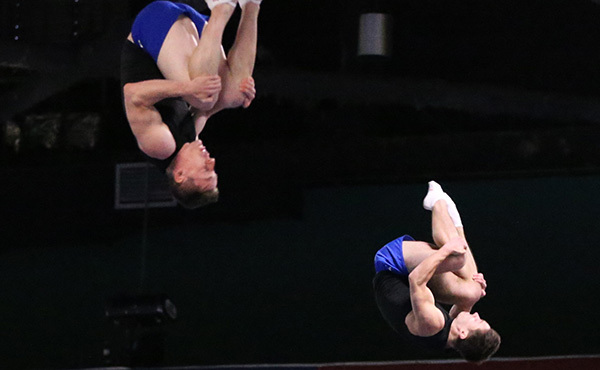 March 23, 6:30 p.m., qualification – women’s pair, mixed pair and men’s group dynamic routine, and men’s pair and women’s group, balance; and March 24, finals. The top eight in each division advance to the finals. 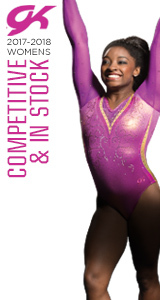 Tickets for the event are available on each competition day at the venue. World Cup tickets are: $15/day or $35 for all three sessions, adults; $10/day or $25/all three sessions, seniors, military, children 6-12; and free, children under age 6.